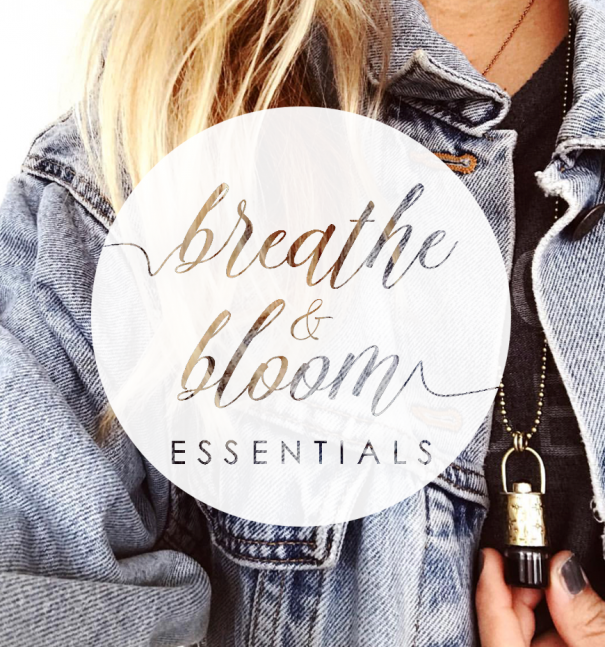 It’s the 10th of the month and we are excited to have our group back together for another blog hop. 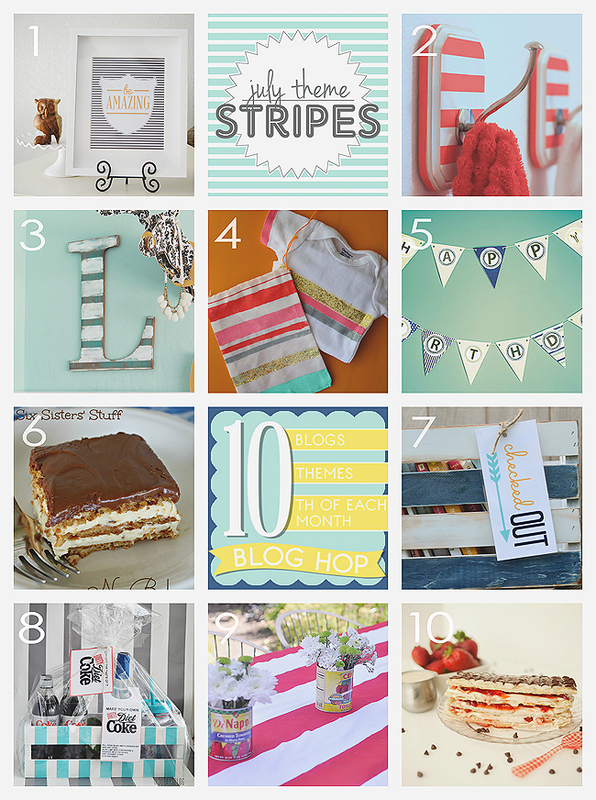 This month the theme is STRIPES and we just know you are going to love each and every one of these projects. 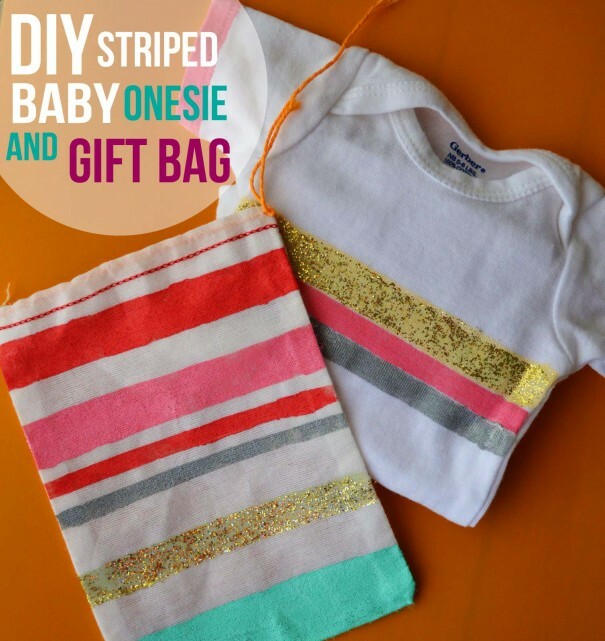 We’d love for you to pin our collage below, check out our DIY Striped Baby Onesie and then go see all the other fabulous projects by some of our friends! Check out our past projects here. 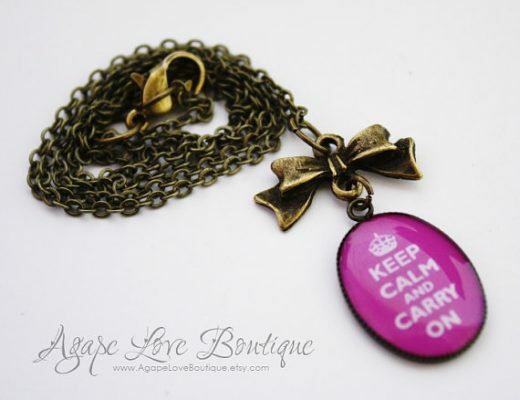 I have a dear friend who is pregnant with her first baby right now–a sweet baby girl. 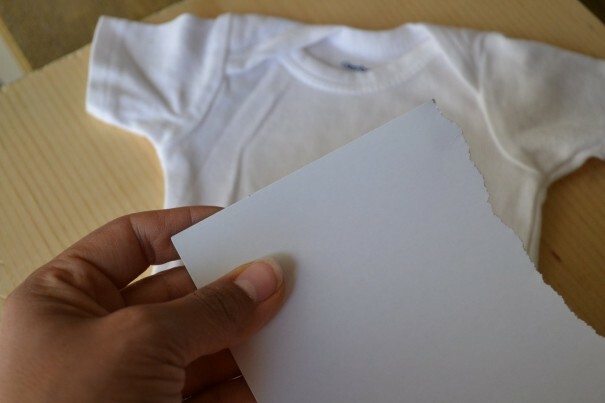 And because one of the things that helped me get through my tough pregnancy were thoughtful tokens of love from my friends, I thought I would put together a little surprise gift for my pal. 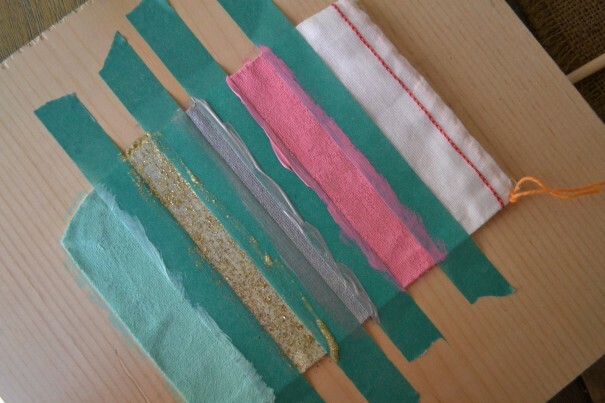 This project is super quick, fun and the possibilities are endless. 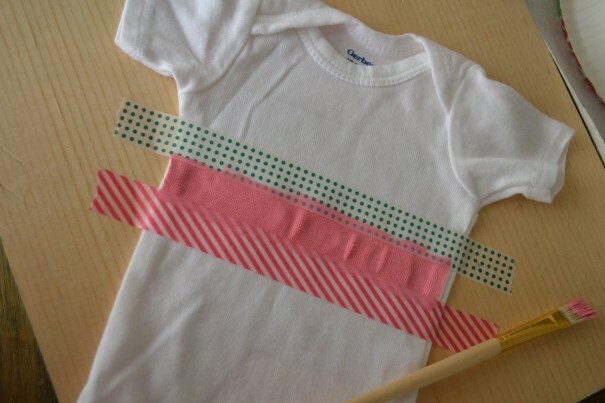 It would also make a great “station” at a baby shower–for guests to design their own onesies for the new baby. 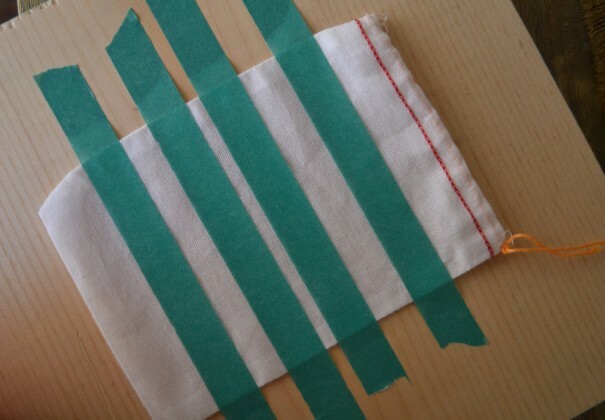 I didn’t have painters tape, so I used some washi tape I had on hand to tape off my stripes. And then I pulled out some of my favorite Martha Stewart colors. 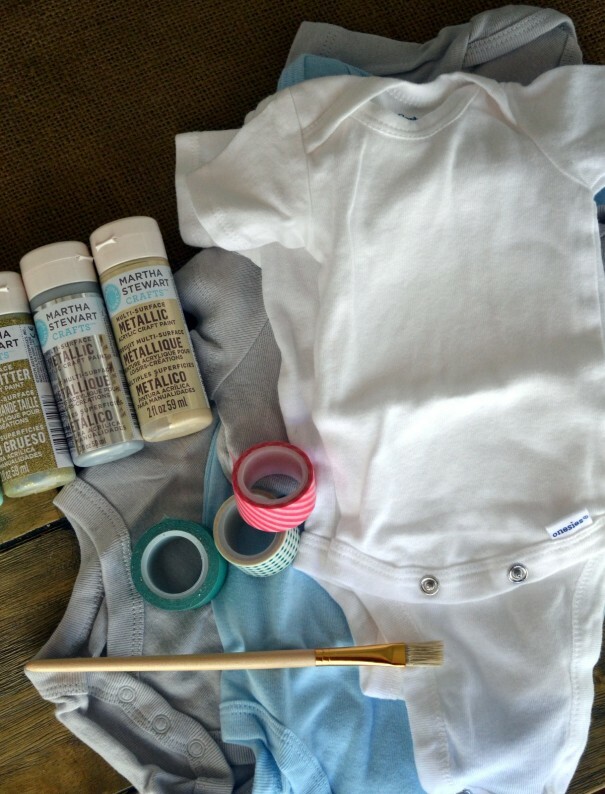 I’m sure fabric paint would be a better option, but the color selections aren’t as good and I figure the new baby will only wear this onesie once before growing out of it anyway. 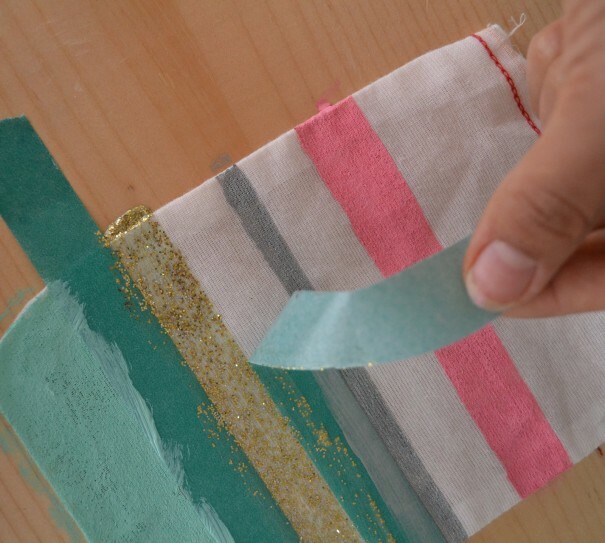 Make sure to place a piece of cardboard in between the fabric pieces so that the paint doesn’t bleed through. 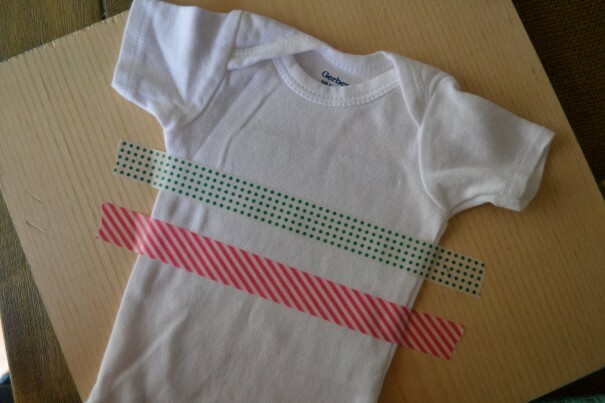 I used some scrap wood I had to tape down the onesie so it didn’t move around while I painted. 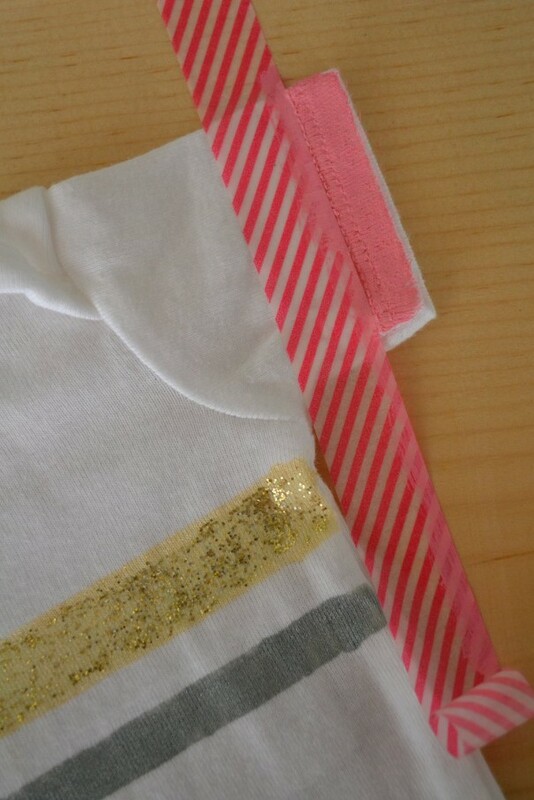 I made a second onesie and decided to add a pink stripe on the sleeve to girl-it-up a bit. 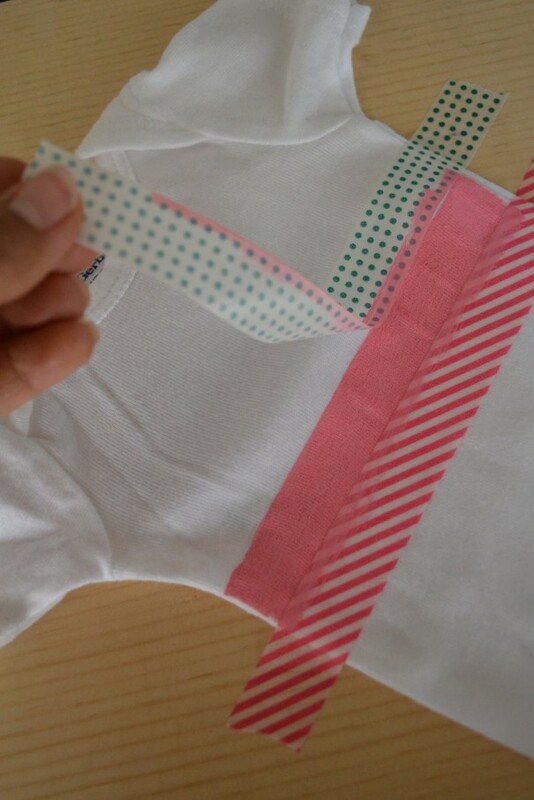 Next, I started on a small muslin gift bag to package the onesie. 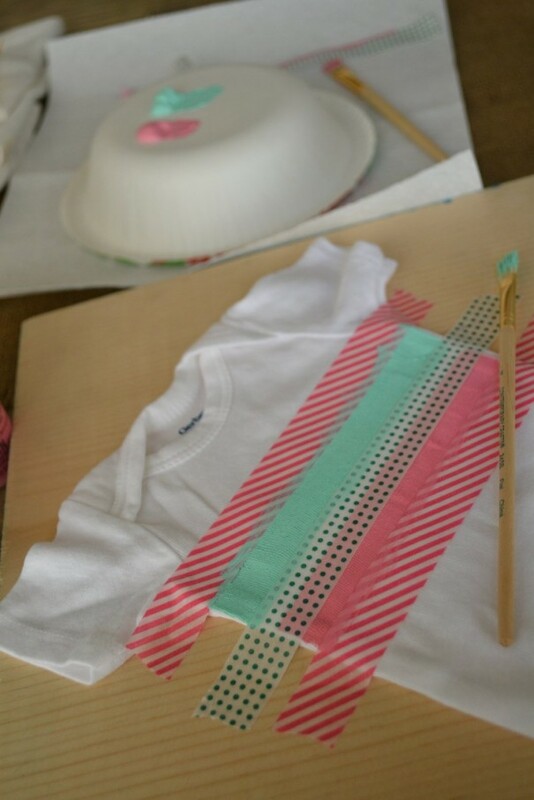 I followed the same process to create the stripes. You can find muslin pouches like this here on etsy. 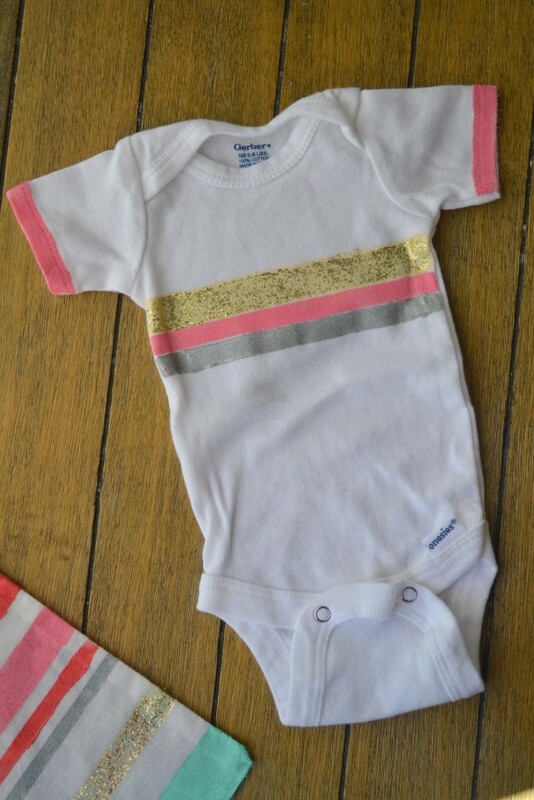 What new mom wouldn’t absolutely love this darling little onesie! So cute. 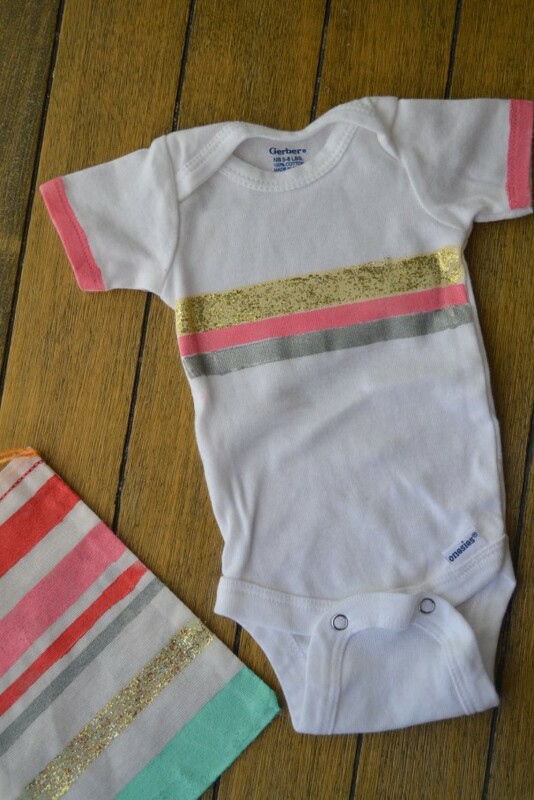 Omg that onesie is to die for cute! What a clever idea! I love it. Great gift! 7 babies in your ward, Mique?? We’ve had FOUR new nieces born in 6 months…we will be copying, copying, copying, copying this, Ashley! 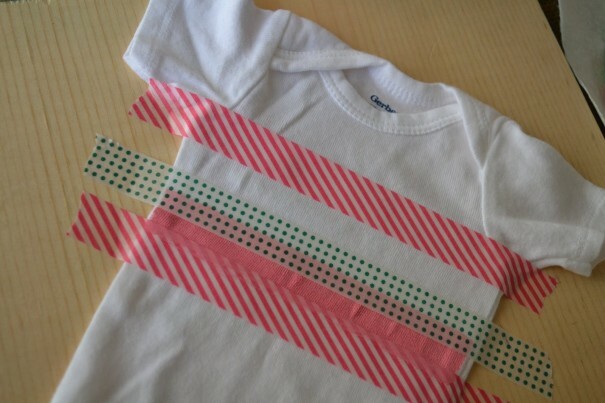 Stinkin cute, washi is brill. Love the colors & the glitter! I’m in love with this idea, especially the matching bag! Darling!!! Such a cute idea! I have a stack of plain white onesies that CJ never wears, I think I need to cute them up a bit. I love this onesie oh so very much. Super cute! 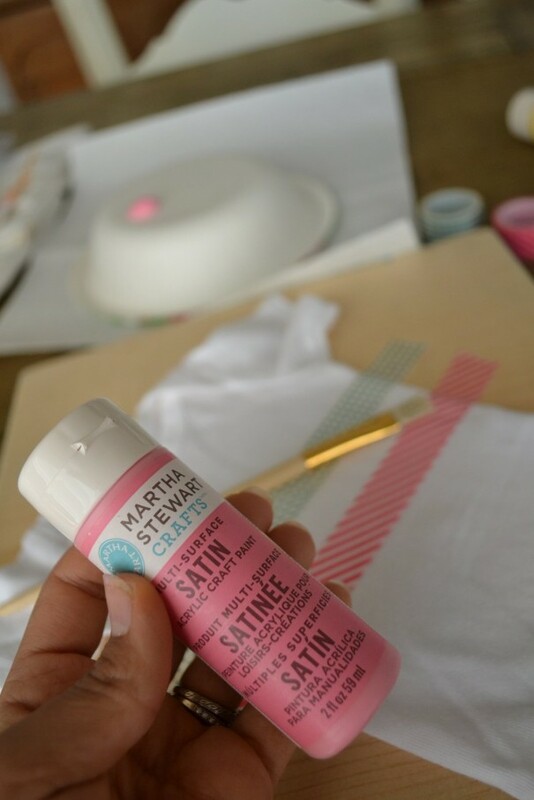 If you want the paint to be more flexible, try adding textile medium to it (also sold at Michael’s or whatever craft store). 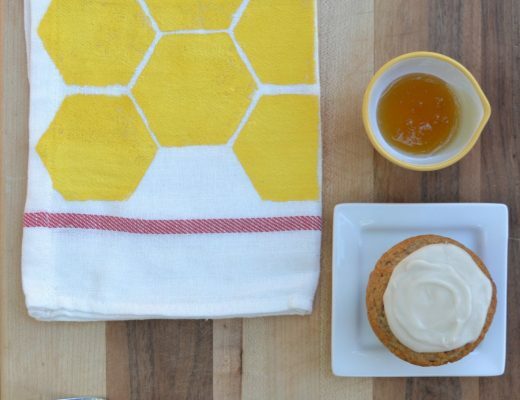 Turns any paint into at least a quasi fabric paint. I love everything stripped..specially clothes. 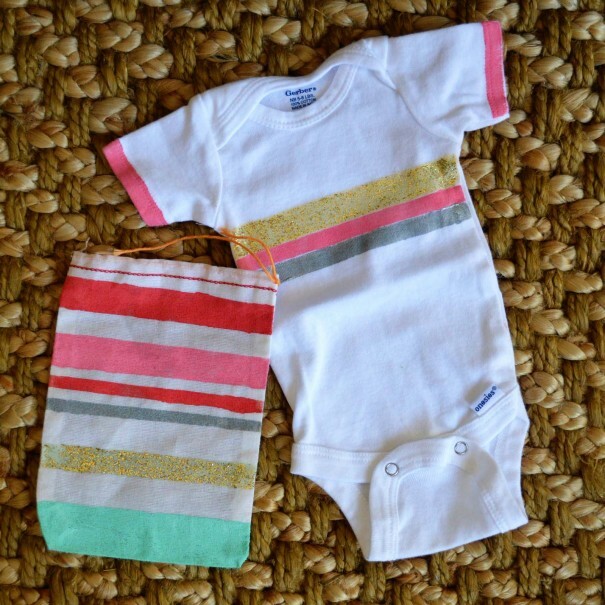 These striped baby gifts are too good. I loved them and got great gifting ideas. You have came up with a very useful post! Thank you for sharing this lovely project! It is a well-worn idea which gave rise to a lot of beautiful and inspiring stories of communication more than a distance. of Aromatherapy, soap disturbs the effectiveness in the Epsom salt and will block the elimination of toxins from the body. leave it hidden as a surprise. can you please tell me where did you get the blue and gray onesies? web site, and I used to go to see this website all the time. user can be aware off it. Therefore that’s why this post is great.